This post appeared in the Forward On Nov. 1 2017. Please read. It's finally out. After a decade of writing and rewriting, editing and re-editing with the help of recommended qualified editor; after doubts and reassurances, and after translating the book into Hebrew and publishing it in Israel (under the title No Laughter In Winter) two years before its final English version was completed, on June 29, I published my memoir in its original English language, in the US. Completing the book was an incredible journey of hard work, despair and delight, tears and laughter. But mostly it was a journey of rediscovery and pride. I am proud of being the granddaughter of my ultra orthodox grandmother, who was a feminist and an activist decades before these words were recognized in her community; proud of being the daughter of my parents, and a member of two extraordinary families; proud of taking part in building my nation-state of Israel; proud of enduring unthinkable losses and challenges; proud of being able to love deeply, to hope in the midst of darkness, to fight for what I believed was right, to rebuild my life, and to acquire a strong sense of self. I poured my guts out, putting on paper my most intimate experiences for strangers to read. 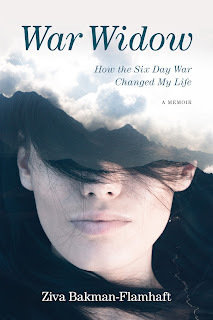 I did it not for sensationalism – I would have revealed the names of a few famous characters who were intimately involved in my life if scandal and melodrama were what I sought in order to sell my book. Rather, I did it out of candor. I had a story to tell and I could only do it openly and honestly. I hope that my story inspires you. My mother Khaya, the fifth among eight siblings, was born to the Sher family on January 17, 1915. In her youth, my mother’s beauty was legendary among those who had known her, and tales of her looks traveled beyond her hometown. When she approached the bank of the river that runs through town, men would whistle and stop to watch her crossing the bridge. Seventy-five years after my mother left Plunge I walked on that bridge. Though it was far smaller than I had envisioned, it registered as huge in my mind. When my mother was seventeen she was arrested on that bridge after she had bent to retie a loosened shoelace. Apparently the policeman who detained her suspected she was making a signal of some sort to members of the banned Communist party. Her brother Yitzhak bailed my mother out, vouching that she was not a Communist. But she was a Zionist, planning her immigration to Palestine to take part in building the Jewish state that was yet to come. 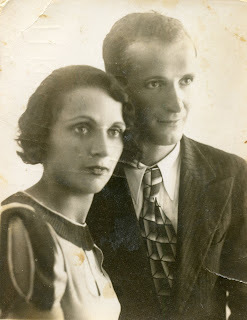 In 1933, when she was eighteen, my mother left Lithuania for Palestine. Leaving her family behind at the age of eighteen took courage, determination, and a commitment to the Zionist cause. But in Palestine, her bravery gave way to depression and despair. No one who had known my mother in her youth could have imagined how that stunning, energetic, blossoming young woman would fade like a wilted flower in the darkening chill of winter, rising like a phoenix in the sun-warmed days of each summer. “Yes, you were,” I answered, remembering that when she was healthy, safe from the dark days of winter when her laughter sank in the despair that consumed her, she was a caring, devoted mother. Few things made me more proud than my mother’s involvement in the Parent Teacher Association, appearing in school looking as beautiful as she had in our summers outings, being loved and admired by teachers and fellow parents alike. She was a loving mother who sheltered her two daughters. I felt loved and secure when she wrapped me with tenderness and watched me as if I were the precious apple of her eye. This was the mother who took me as a child to my favorite restaurant—a rare outing in the semi-socialist society in which I grew up—and watched me eat the food I liked, ordering nothing for herself. She fought to place me in a better grammar school than the one in which I was enrolled, and she went to school to defend me when necessary. She made me the most beautiful Purim costumes, for most of which I won first prizes. She was the mother who arrived by cab at midnight at the home of my Uncle Yaakov and his wife, Esther, when I was seven or so, because she presumed that I would cry that first night I slept away from home. She was the mother who took me for my first bra when I did not yet need one, because she wanted me to have pretty breasts when I grew up. She was the mother who took me to the dermatologist to prevent acne and to the gynecologist when my menstruation was irregular. She was the mother who made sure that my sister and I wore the finest clothes and ate the best food available. She did all that and more in her good days, and sometimes even when she was ill.